The Occupational Safety and Health Administration (OSHA) has issued a final rule to curb lung cancer, silicosis, chronic obstructive pulmonary disease and kidney disease in Americaʼs workers by limiting their exposure to respirable crystalline silica. According to OSHAʼs website, the good news is that silicosis is 100% preventable! 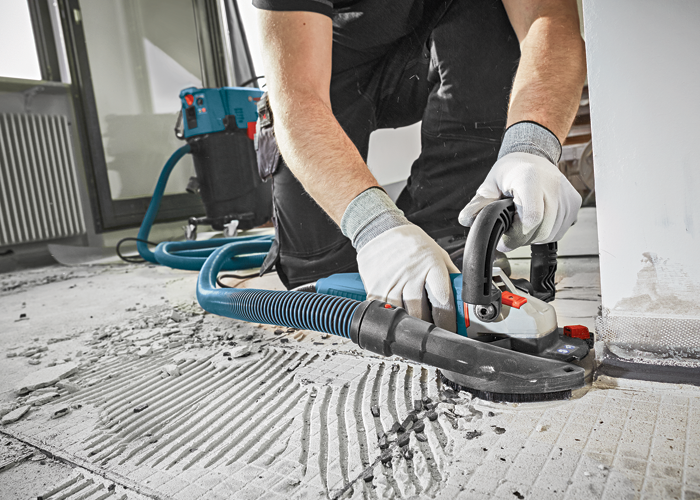 While using power tools with a dust attachment/accessory and dust extractors with the right filter, exposure to silica can be drastically reduced. Reduces the permissible limit (PEL) to 50 μg/m3 (micrograms of silica per cubic meter of air), averaged over an eight-hour day. Establish and implement a written exposure control plan to identify tasks that involve exposure and methods used to protect workers, including procedures to restrict access to work areas where high exposures may occur. Also, employers need to designate a competent person to implement the written exposure control plan. Provides flexibility to help employers — especially small businesses — protect workers from silica exposure. The new standard went into effect on September 23, 2016, and employers are required to comply with all obligations of the standard. OSHA enforcement dates differ by state and can be referenced by visiting https://www.osha.gov/dcsp/osp/index.html. If your state does not have their own state plan, OSHA federal silica regulations will apply. with manufacturer's instructions to minimize dust emissions. greater efficiency and a filter-cleaning mechanism. minute (cfm) or greater of airflow per inch of wheel diameter and have a filter with 99% or greater efficiency and a cyclonic pre-separator or filter-cleaning mechanism.